It’s steering with a lot of feeling thanks to Elantra’s Drive Mode Select feature. It’s your personal preference with Drive Mode Select. It allows the driver to adjust both throttle response and steering effort to match your driving style. Select from three modes: Normal, Eco or Sport, by simply touching a button. Can you hear me now? Not really! 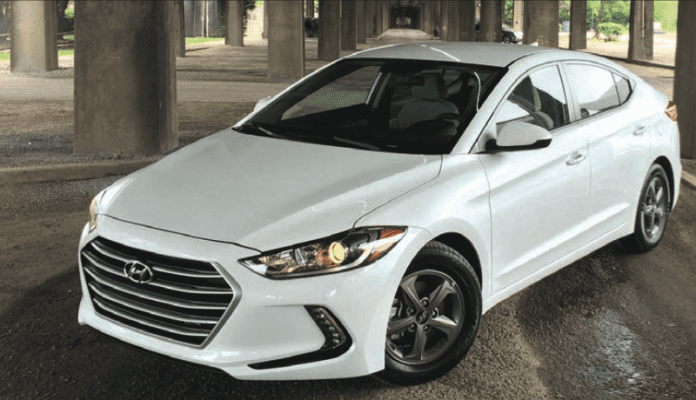 And that’s because the new Elantra’s engineers have solved the long-standing problems of quietness, smooth riding and handling features in a compact car. They did this by making greater use of high-strength steel to reduce body flex. In addition, they updated the rear suspension geometry and added insulation to the upper body plus the thicker front door and rear window glass. Front suspension and steering bushings were improved to reduce vibration. What you’ll notice is a serenely smooth yet responsive ride. Ok, no one can control the weather but the Elantra can help the driver and passengers ride comfortably no matter what the weather is doing outside. The dual-zone automatic temperature control system with CleanAir Ionizer and Auto Defogging System is standard on Elantra Limited. And when the sun, the moon or the stars are shining, open the available power tilt-and-slide sunroof and enjoy. The Elantra sedan was the first compact car to have heated seats for both front and rear passengers. And it’s still one of Elantra’s most popular options. For even more comfort and convenience, select from available leather seating, an 8-inch touchscreen navigation system with Infinity® Premium Audio and segment-first Clari-FiTM Music Restoration Technology, or a 7-inch color touchscreen audio system, both with rearview camera. And both touchscreens offer the option of Apple CarPlayTM or Android AutoTM.